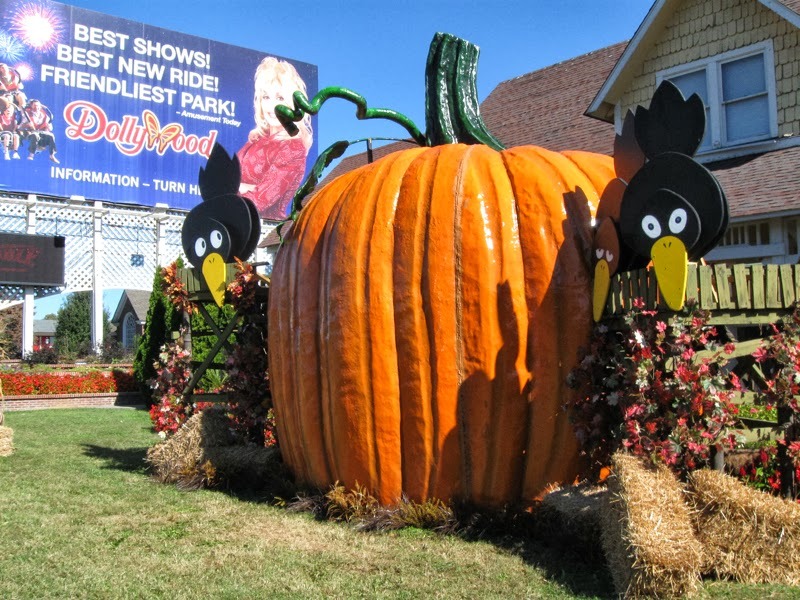 On our recent 10-day road trip, visits to Pigeon Forge and Gatlinburg were graced with pumpkins, cornshocks, crows and a few scarecrows, all designed to welcome tourists and entice them to stay and spend money. 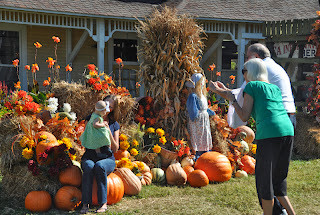 We rarely spend on attractions or shopping, but I did get a kick out of the decorations and the people-watching opportunities that the pumpkin vignettes produced. I definitely felt kinship with the enthusiastic photographers below. I wondered if, like me, they fill a blog with grandkid pix. 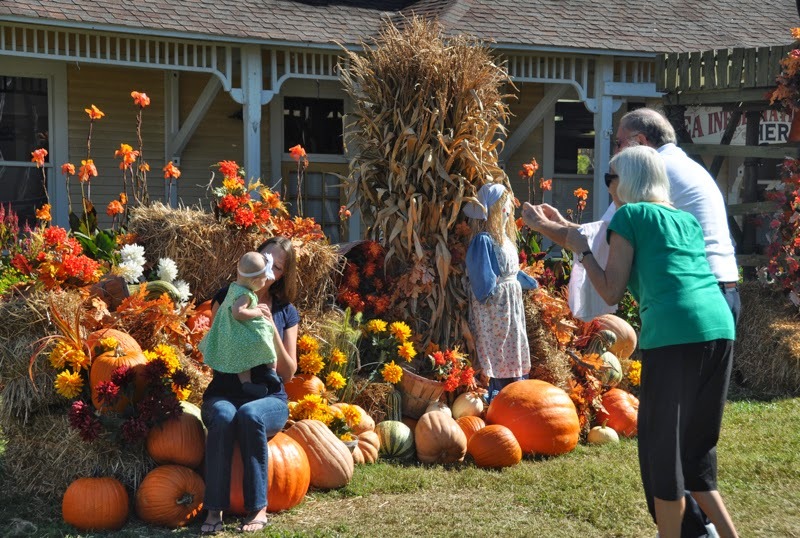 The toddler above cooperated fully with the photo session. Earlier I had noticed her toddling around, unfazed by some older children’s rambunctious climbing and jumping around near her at the autumn display. She carefully picked a bright yellow flower, wobbling around until she found the perfect spot of grass for plopping down and studying her newly acquired artificial botanical specimen. The addition of a grandchild, even one I didn’t know, ramped up the fun of my people-watching moments. So did Husband Walter’s antics in an outhouse a few days earlier on a morning walk in Gatlinburg. 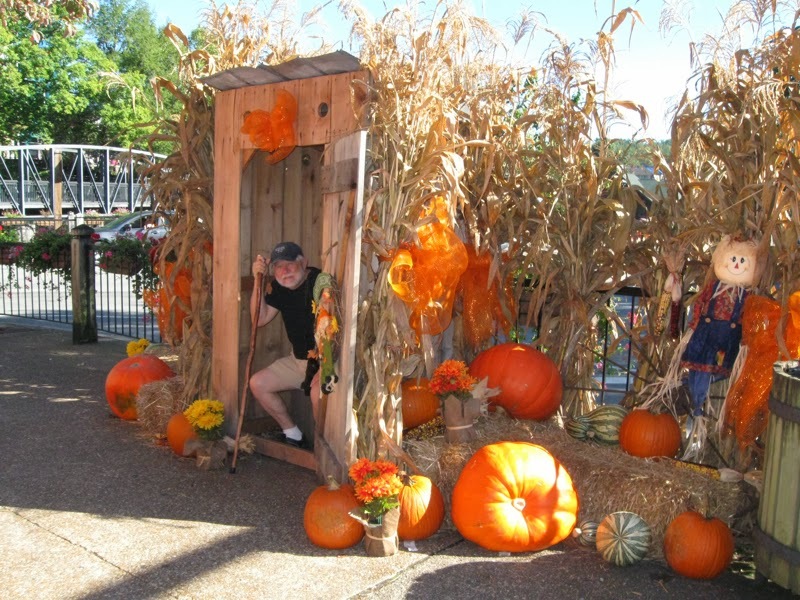 Hubby poses in replica of historical rural structure. Oh, these are wonderful pictures!!! I am thinking that huge pumpkin is not real? And yet those crows seem to love it! Ha ha, hubby looks like he is down to serious business. Hum, wonder why we never decorated our out house? Sure makes a difference.